Pet Shop Boys have branded modern pop music ‘very ego-driven’. 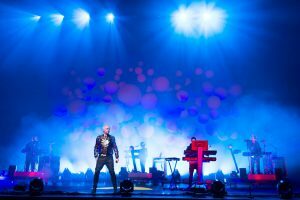 The electro duo, Neil Tennant and Chris Lowe, send up the self-obsessed approach of today’s chart stars in ‘Ego Music’, a track from their new album ‘Elysium’. The song features tongue-in-cheek lyrics such as ‘I am my own demographic, what does that say about me?’ and ‘In a sea of negativity, I am statue of liberty, that’s why people love me’.